Growing crops doesn't qualify as "covered property" under a commercial property or farm policy. Consequently, farmers who wish to insure growing plants must purchase crop insurance. There are two basic types of crop policies: multiple peril crop insurance and crop-hail insurance. Multiple peril insurance is offered through a program backed by the federal government. Crop-hail insurance is sold by private insurers and is not government-supported. The Federal Crop Insurance Program (FCIP) is a public-private partnership between the federal government and insurers. The FCIP is operated and managed by the Risk Management Agency, which is part of the USDA. The Federal Crop Insurance Program was created in 1938 by the passage of the Federal Crop Insurance Act. The program languished for decades due to high costs and low participation by farmers. Legislation was enacted in the 1980s that expanded the program and made it more affordable. Yet, participation remained low until the crop program was overhauled in the 1990s and subsidy levels were increased. Additional legislation in the 2000s broadened the range of insurance products available to farmers. Nowadays, many farmers buy crop insurance. According to the USDA, about 83 percent of U.S. crop acreage is insured under the federal program. In 2017, the FCIP insured more than 311 million acres of farmland. The participating insurers issued more than 1.1 million crop insurance policies. Multiple peril crop insurance policies are sold by 15 insurers that have agreed to participate in the federal program and have been approved by the USDA. The insurers distribute the policies through independent agents. They collect premiums, issue policies, and pay claims. Crop losses are usually paid within 30 days of the date the farmer files a claim. The federal government acts as a reinsurer, meaning it insures the insurance companies. If an insurer's claim payments exceed the premium it has collected, the government shares in the losses. The reverse is also true. If the insurer collects more in premiums than it pays in losses, the government shares in the gains. The Federal Crop Insurance Program is overseen by the Federal Crop Insurance Corp. (FCIC), a corporation owned by the federal government. The FCIC dictates the language used in crop policies and the rates that are charged. It also subsidizes the participating insurers for their administrative expenses. Only certain crops are covered by multiple peril insurance (the program doesn't cover every crop). The Risk Management Agency decides which crops will be insured in each county. It makes this decision annually based on the demand for coverage in the county and the risk of losses. 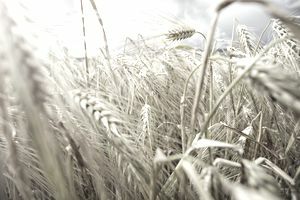 If coverage for a certain crop is not available, farmers may ask the Risk Management Agency to expand the program to include that crop in their county. A Multiple Peril policy covers a loss of crop yields due to drought, freeze, disease, and other natural causes. Farmers who wish to buy a policy must do so before they plant their crops. Crop policies purchased through the federal program are usually based on yield or revenue. A yield-based policy provides a payout if the farmer suffers a yield loss relative to his or her “usual” (historical) yield. Basic (catastrophe) coverage provides a payout if losses exceed 50 percent of the normal yield. The farmer receives 55 percent of the estimated market price of the crop. No premium is charged for catastrophic coverage but the farmer must pay an administrative fee. Higher levels of coverage are available but the farmer must pay a portion of the premium (the government pays the rest). Most farmers choose a revenue-based policy covering a single crop (whole-farm revenue coverage is also available). This type of policy protects a farmer against a loss of crop revenue resulting from a decline in yield, a drop in harvest price, or both. It covers yield losses that result from natural causes like drought, excessive moisture, hail, wind, frost, insects, and disease. It also covers revenue losses that occur when the harvest price differs from the projected price. When buying a revenue-based policy, the farmer selects a level of coverage expressed as a percentage of average yield. This percentage is typically 50 percent to 75 percent but may be as high as 85 percent. If a farmer suffers a loss on a crop that is not covered by the federal program, the farmer may apply for crop disaster assistance. The program provides financial assistance for losses caused by low yields, loss of inventory or an inability to plant due to natural disasters. Crop-hail insurance is available from private insurers and is not part of the federal program. It can be purchased at any time during the growing season. Most crop-hail policies cover other perils besides hail. These include fire and lightning, wind, and vandalism and malicious mischief. Policies may also cover replanting costs. Insurers may offer several levels of coverage and a range of deductibles. Some offer companion policies that cover the portion of crops that aren't insured under the federal program. Hail coverage can cushion farmers against crop losses that fall below the threshold for federal coverage to apply.